Q: What do you hope readers take with them after they've read it? A: Since it's a sweet romance, I want readers to leave with a sigh, a sappy smile, a warm fuzzy feeling, and a new book boyfriend in Ryan. I want readers to have experienced the highs and lows of the journey along with Liz and then participate vicariously in her victory. But mostly along the way, I hope readers feel the tug toward a deeper or new relationship with the Creator of everything who still wants to be their personal Friend. At least she’d finally seen Jerry’s true colors. But was it too late to fight for her place? If she needed to stay, completing her degree would have to wait. More of Jerry’s words came flooding back to her. “You don’t need a business degree to answer the phones and stuff envelopes.” Liz’s stomach clenched along with her fists. "This book does exactly what the title suggests. It focuses on love. . . .the love of family as well as friends, . . and a healthy helping of God’s love are all represented within its pages. . . . I was a bit disappointed when I reached the end of this book. Liz and Ryan are people I could have hung out with for another hundred pages. But I will take comfort in the hop of another excellent read from Candee Fick in the future." Can You Really Find Love on the Job? My husband and I met while working at a private high school. He taught math while coaching football and baseball. I taught chemistry and coached cross country and track. We might never have talked outside of polite conversation at staff meetings, except for the fact we had a handful of matchmaking students in common. Have you ever been around hormonal teenagers especially near Valentine’s Day? They latched onto the idea that the single teachers at the school really should get married and brought up not-so-subtle hints about every other week. “You look happy.” The man’s intense gaze swept over her face and she resisted the urge to squirm when he nodded, as if he had her figured out. “I just got a miracle. Didn’t think God did those anymore, at least for me.” She really needed to thank Dani for praying. “Are you an actor?” With this handsome man around, the theater could get interesting. 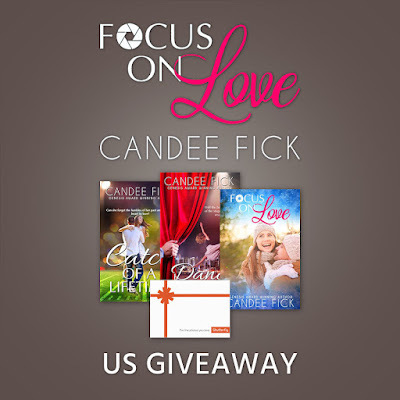 "Focus on Love is the first book I’ve read by Candee Fick and I really enjoyed it. Set in the Wardrobe Dinner Theater world of Colorado, we meet Liz and her two roommates, Dani and Gloria. Dani’s story was told in the previous book, Dance Over Me (which I’m eager to read), and Focus on Love is Liz’s story, which stands alone. . . . The ending felt a little rushed, but hopefully we’ll see more of Liz and Ryan in the next book. Focus on Love is a sweet and entertaining read that I thoroughly enjoyed." Heat rose in her face. Curse her pale complexion. “Both?” Except, after Jerry the Jerk, the last thing she needed was to date another photographer. In fiction—and in real life—romance can blossom in the middle of a working relationship. Come to think of it, each of my previous two novels have also featured couples falling in love while keeping up with the day job. But rather than discuss specific books with workplace romances—which perhaps not all of us have read—I started thinking about other stories we romance-genre-lovers can talk about. The stories on the big screen. The “chick-flicks” that make us smile. So, without further delay, here are ten popular movies (including two classics) where two lonely hearts working together find love. 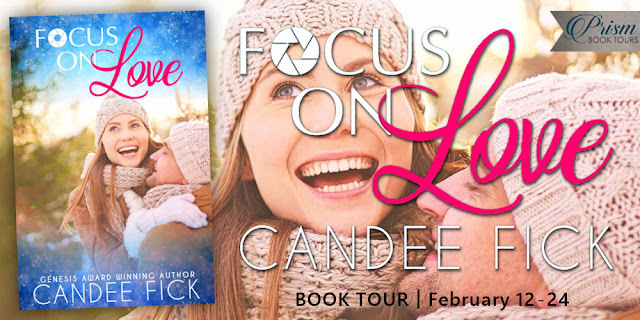 "Another sweet romance from Candee Fick! The warm characters move right into your heart, and the dinner theater atmosphere (with its delightful nod to C.S. Lewis’ Narnia) is vivid and unique. In fact, the photography and theater elements in Focus on Love give readers a fascinating picture into each of these creative worlds. Ryan and Liz are very relatable characters, and their attraction is palpable. (Some great kisses too!) 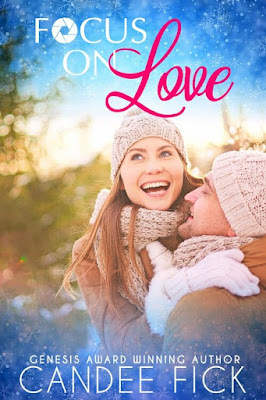 Overall this is a heartwarming story of love and grace in various forms, and a great choice any time of the year!" Within minutes, she had almost tripled the number of pictures on her memory card with a variety of solo and group shots. One of the actors suggested they silently sneak onto the stage itself since the curtain was down and the audience was making plenty of noise while eating their dinners. Soon she had close to live-action images, taken with the large props and backdrop, to add to her collection. The buzz of energy grew each time the shutter clicked as Liz sank deeper into a creative zone. How was it possible to have such laser-targeted focus on her subjects that her camera almost became a natural extension of her imagination? She hadn’t felt such freedom in years. Today I’d like to introduce you to Elizabeth Foster. In addition to acting at The Wardrobe Dinner Theatre, you’ll often find her with a camera strapped around her neck. Still, since it’s February and love is in the air, I thought I’d ask Liz about mixing romance with the theater. Theater romances are unique. Of course, there’s the typical proximity factor because the cast spends so much time together during rehearsals and performances. However, sometimes an onstage romance between two characters bleeds over into a backstage attraction too, but those usually don’t last because it’s hard to tell when the acting ends and reality begins. About a hundred feet from the front doors, she spotted the tall cowboy exiting a large truck parked nearby, and her stomach whirred like her fast-action shutter. Of course, it had to be nerves about showing her pictures to the Sheridans in front of the professional photographer—nothing to do with how handsome he was. 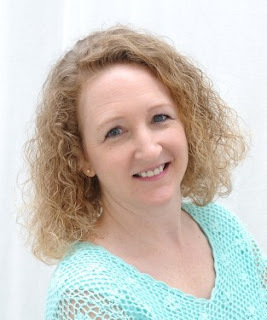 "This author has been recommended to me by a couple of my dearest bookish friends so I had high expectations for this story yet Focus on Love did not disappoint! I’m so happy with this experience and I look forward to reading the author’s backlist and future works." Liz nudged her camera bag out of the way of her feet and swiveled to face Ryan during the drive. Of course, from this angle she could easily admire the muscles in his forearms below the rolled-up sleeves of his dress shirt as he steered into traffic. A suit jacket hung on a hook behind his seat. "I simply loved Focus on Love! It is such a lovely story of faith, love and learning the incredible love that God has for us." Today, I’d like to introduce you to award-winning photographer Ryan Callahan. My first question is how did a Montana cowboy like you end up working for the Bricker Communications empire? Glad to be here. (Tips his hat) My adventure started because of a photo contest I saw advertised in my uncle’s camera shop. The grand prize was a trip to tag along with a famous photographer on a shoot. Well, he looked past my inexperience and eventually lobbied to get me an internship with the company. I’ve since moved up the ladder and my mentor is now the CEO. You could say it all started with a lucky break, but I know it was a God-thing. “Yes, I see.” He eyed her rather than the trees. A sudden warmth flooded her cheeks as she swung her camera bag around to her side and hurried around to the passenger side of his truck. She’d be wise to remember that while flirting was fun, it was too soon to feel anything more than friendship for Ryan, no matter how tempting. "I would highly recommend this book to other readers. It is a sweet love story and also has several life experiences that the characters have to make decisions about and then endure them." “Do you want to help me with the middle?” Liz grinned as the little girl nodded like a bobblehead doll. Soon she straddle-walked behind Hannah as they packed the snow tight, then angled their path to intersect where the guys smoothed out the giant base. The activity tugged at memories of the year Grandpa O’Neill had helped her build a snowman and stole Grandma’s scarf for a decoration. “You could help, you know.” Liz paused to straighten a kink out of her back. “I could.” He waggled his eyebrows, then moved to face her. With his arms under hers, they lifted the middle section and then sidestepped toward the base. One could imagine they were almost hugging … if not for the icy mass between them. And only if one were prone to imagining the start of a romance where friendship grew. Free-spirited Elizabeth Foster turned her back on her father's photography business to pursue musical theater, but a career on the stage remains second to a career behind the camera. The possibility of a one-show contract means she's a few weeks from unemployment forcing her home, and her dreams of pursuing professional photography reemerge. With photography and theater opportunities unfolding before her, Elizabeth faces her biggest challenge yet—listening to her heart. Meanwhile, sought-after photographer Ryan Callahan has put his career on hold to help his sister's family, but the promise of a bigger assignment could lure him away so he can begin building a family of his own. With professional opportunities and personal obligations pulling at him, Ryan faces his toughest challenge—balancing family, relationships, and work. If given the choice, what dreams would develop for Elizabeth and Ryan? And will they learn to trust each other enough to focus on love? Danielle Lefontaine, a fledgling actress raised to the lullaby of Broadway, searches for her long-lost brother and her place on the stage, but a jealous cast member and numerous fruitless leads threaten to drop the curtain on her dreams and shine a spotlight on her longing for a place to belong. Meanwhile, Alex Sheridan is living his dream except for someone to share it with. 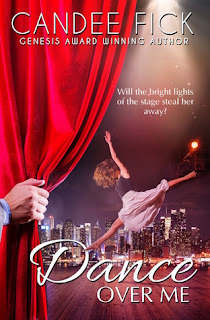 When Dani dances into his life, he hopes he’s found the missing piece to his heart but fears the bright lights of the stage could steal her away. Will the rhythm of dancing feet usher in their deepest desires or leave them stranded in the wings? There are two specific prizes below for this tour. You can also find a giveaway on Goodreads here and another release celebration giveaway here.